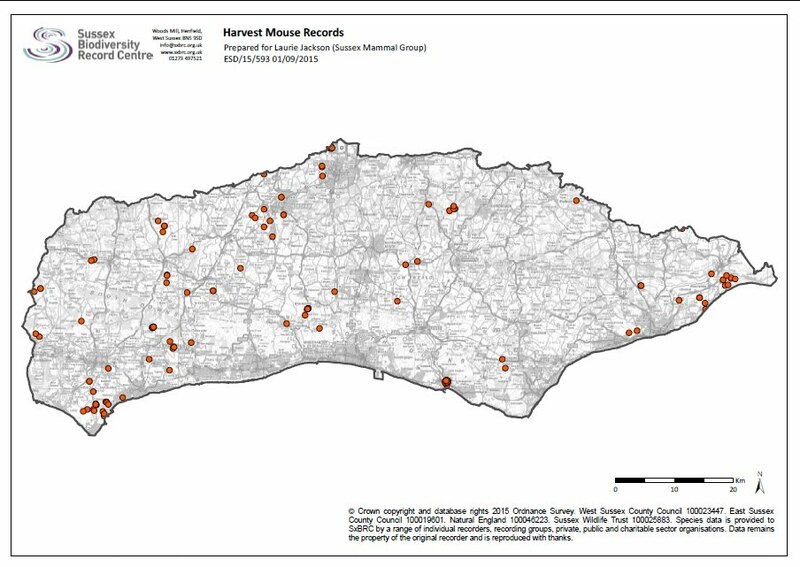 The Sussex Harvest Mouse Survey aims to give us a greater understanding of this tiny mammal's distribution across Sussex. The best way to identify whether harvest mice are using a site is to search for their characteristic nests, which are woven from shredded leaves of plants such as grasses, sedges and reed. Harvest mouse numbers are at their highest in the autumn so the time couldn't be more right to get out searching suitable habitats such as long, tussocky vegetation, reedbeds, and grassy scrub! Surveyors joining the Sussex Harvest Mouse Survey will be allocated a tetrad (2km x 2km square) to search for harvest mouse nests. the plant from which the nest had been woven. Tell us which area of Sussex you are interested in surveying - near home, work or your favourite pub - your choice! Send us your completed survey form and relax, safe in the knowledge you have played your part in the search for micro mouse! What are you waiting for? Put your mark on the harvest mouse map!